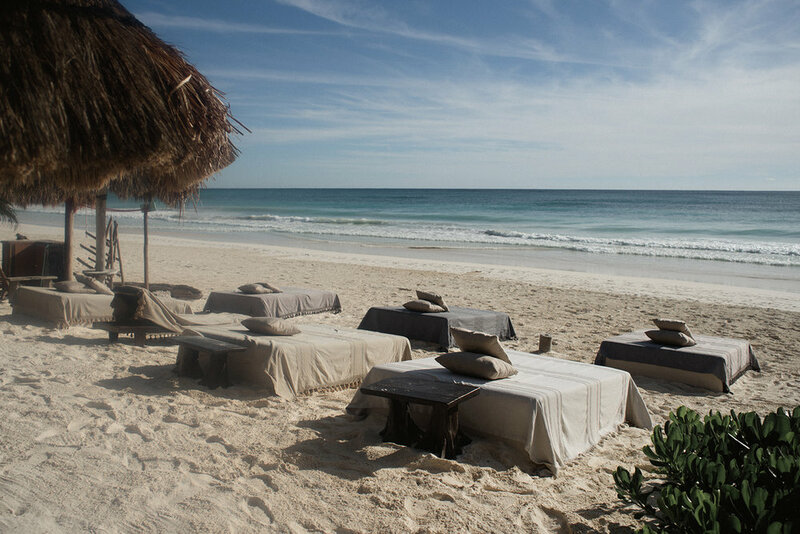 This enchanting boutique hotel is superbly located on the infamous white sand beach of Tulum. 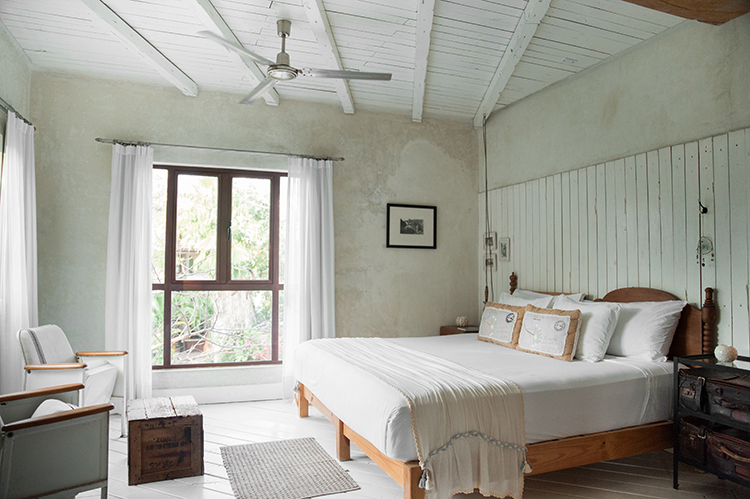 Reflective of its natural surroundings with a design mantra of natural simplicity, the tranquil hotel feels more like a guesthouse with its welcoming feel and laid-back vibe. 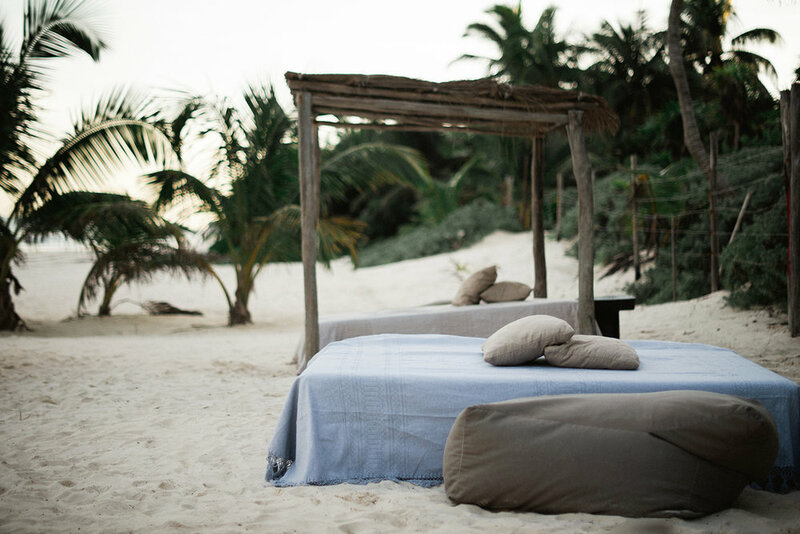 Although NEST is newer on the Tulum scene, the high attention to detail, incredible service and chic style that fits seamlessly with the inherent rustic, bohemian vibe of Tulum, has quickly made it one of the favorites among those in the know. 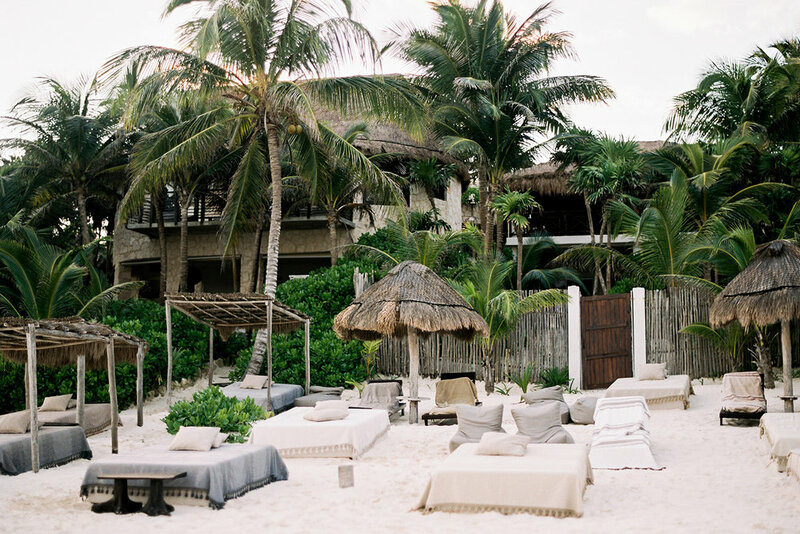 Whether it's hanging out in one of the minimally decorated rooms, eating a tasty meal from the beachfront restaurant, or relaxing in one of the beautifully decorated stylish nooks or beach beds, this stunning hotel is the ultimate beachfront haven to enjoy Tulum. 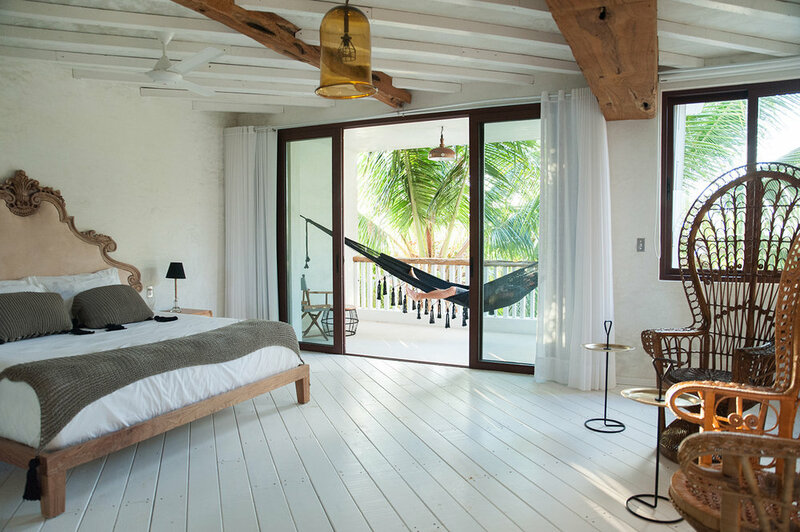 If you are familiar with the Coqui Coqui Residences, Boutiques and Perfumeries, then you already know that that everything this stylish couple creates is with an intention of sharing something special, more specifically, a lifestyle of understated luxury. To them, it is the ability to connect to nature, to appreciate the feeling of sand under your feet, being able to hear the birds in the morning, smell the natural fragrances in the air, or being able to see a star-studded sky. 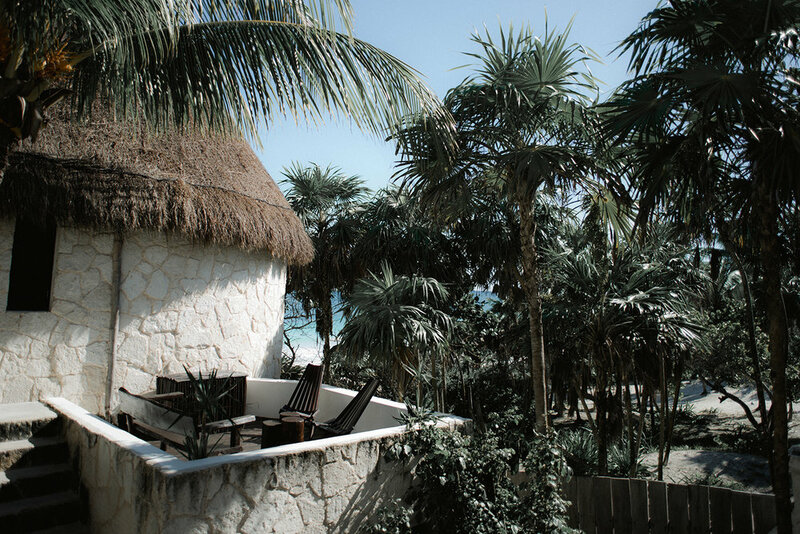 Their Coba Residence is no exception. 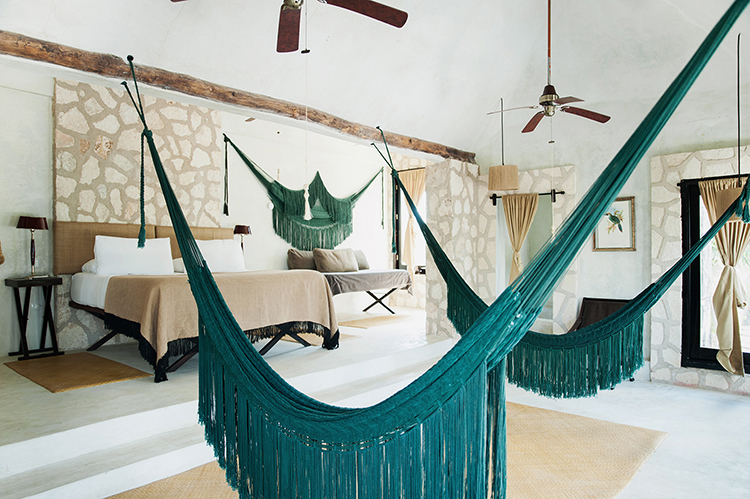 Located in the heart of the dense Yucatan jungle on the shore of a tranquil lagoon sits a 4 room retreat with rough-hewn limestone exteriors that blend perfectly into the natural setting. An astute stone staircase runs up the front of each of the two towers, resembling the ancient design of the nearby Mayan temples. 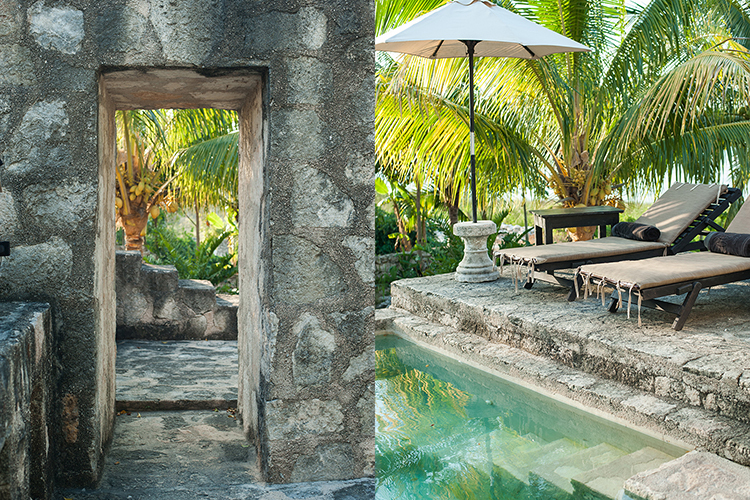 Creating an even more majestic feel is a vine-covered rope bridge and 2 turquoise plunge pools. 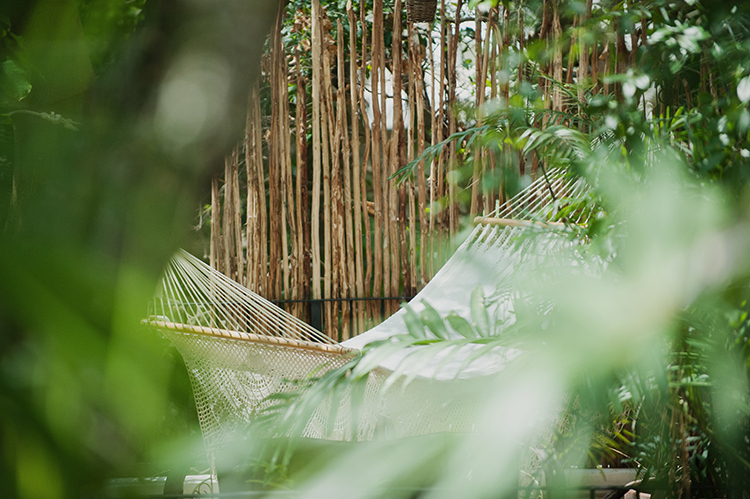 A beach-side location has the crashing waves, but this remote retreat has the sounds of the jungle to lull you into a relaxed state like no other. 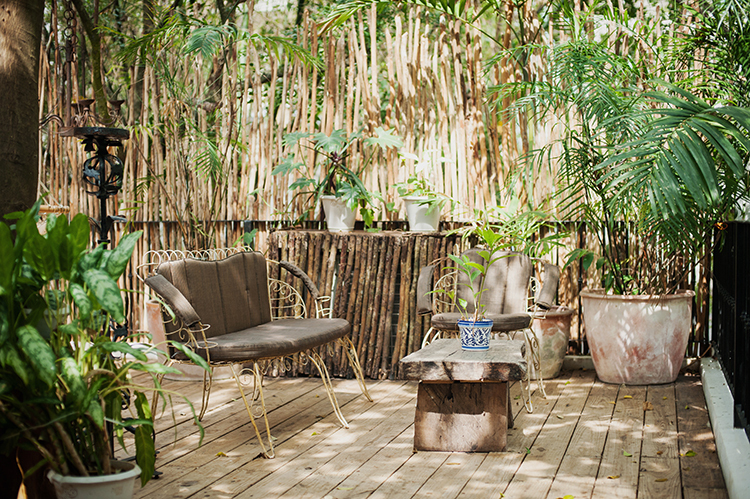 It is the ultimate jungle hideaway equipped with all the understated luxuries that you require for your perfect getaway. La Semilla. The seed. Something that you nurture and love. Something that is within all of us, the power to cultivate the extraordinary. 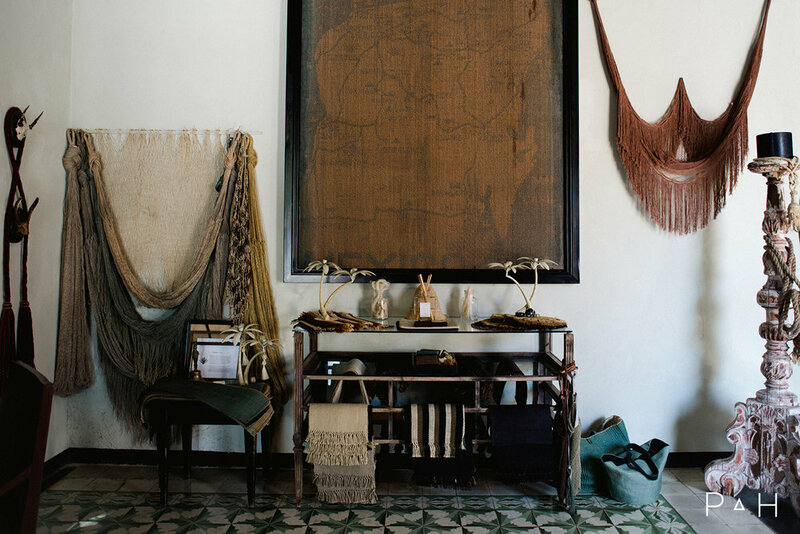 That is exactly what the lovely owners, Alexis and Angie, have done with this special space. 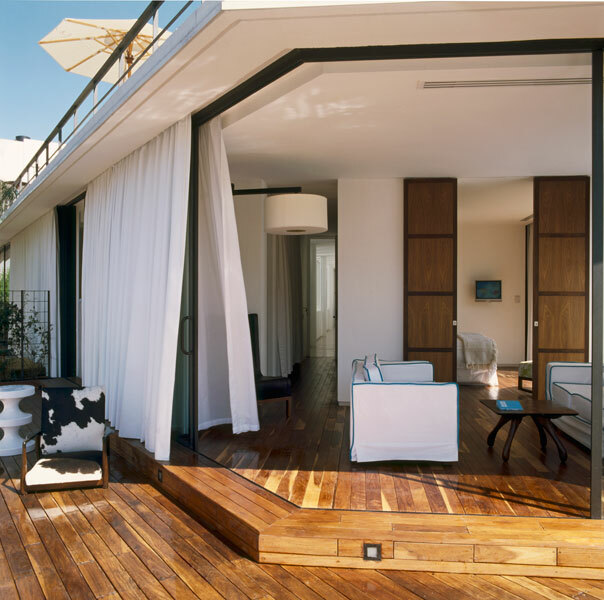 Instead of developing the property into a large hotel, they kept it at 9 rooms and left a lush garden area for guests to relax and observe the quietness that surrounds. 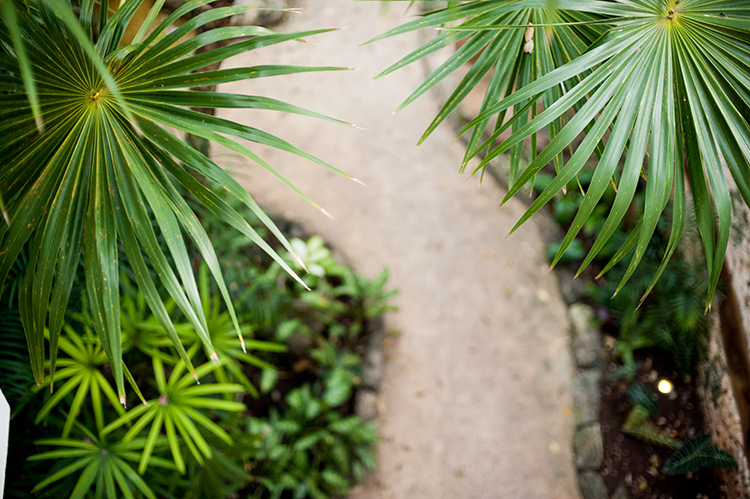 They encourage the slow approach, to reconnect with the earth, each other and yourself. 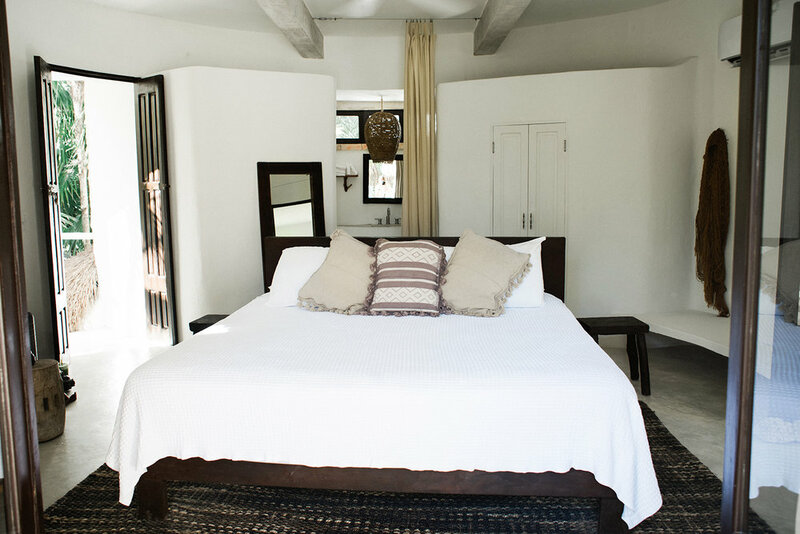 The rest of the property follows suit and is the perfect mix of a simple, refined design, and laid-back atmosphere. 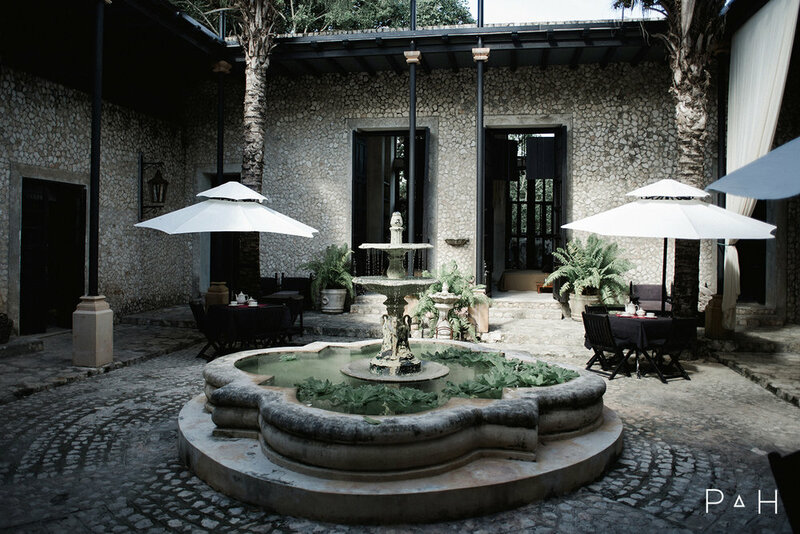 Paying homage to the local culture, they embraced a design reflective of Mexican heritage fused with organic forms; sourcing vintage furniture from Mexican haciendas and handmade mosaic tiles, paired with locally sourced stone and polished concrete. This elegant mix of mis-matched furniture, art, and antiques combined with earthly elements is inspired by the Rough Lux movement, that which embraces the imperfection created by the wear and tear of time. Together, these elements create a quality of timelessness and calmness, of authenticity and warmth.